"My iPhone 7 accidentally fell off my hands and now the screen is completely broken. It is not functioning and I am scared that the latest photos from our Graduation party will be lost forever. I was yet to make a backup of those photos. Is there any possible way, I can get back those photos?" Frankly, if you have made a backup then you would be able to recover them using the official apps but sadly you failed to do. 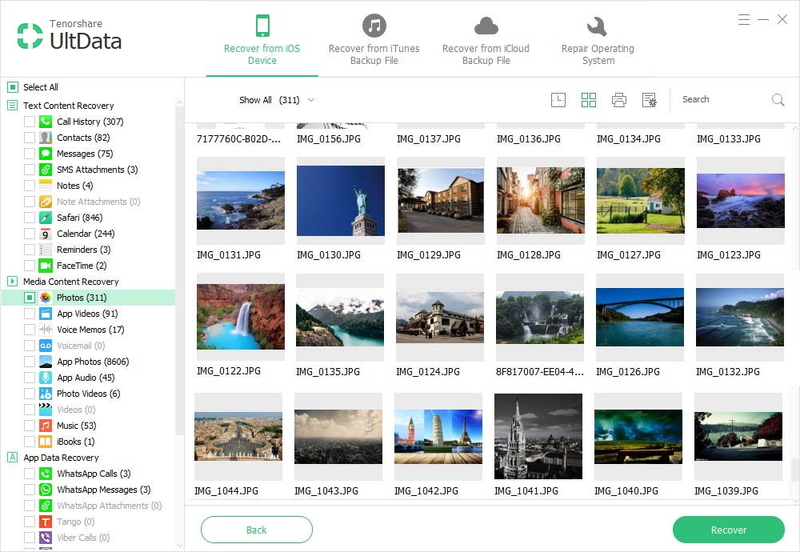 Which means you will be using a more efficient software like iPhone photos recovery software to recover photos from broken iPhone. The software comes with several modes, each with its own specialty. It can not only recover files directly from the iOS devices but you can also use it to extract files from iTunes or iCloud backup file, selectively. 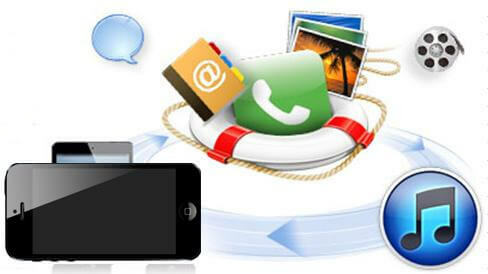 If you have made backup in iTunes beforehand, you can use Any iOS Data Recovery. You will be able to recover photos from iTunes backup, selectively. The biggest problem with the iTunes backup is that you won't be able to restore any particular file to the device. Either you restore the whole backup or you don't but with Any iOS Data Recovery, you are getting the chance to selectively recover photos from broken iPhone. Step 1: Download and install the software on the computer and then launch it. Step 2: Connect the iPhone to the computer and click Recover Data from iTunes Backup File from the main menu. Step 3: Now, a list of iTunes backup files found on your computer will be available to you. Choose a backup file that meets your need and click Start Scan. Step 4: Now, all the files backed up in that file by iTunes. All you have to do is to select the photos and click Recover. This procedure basically opens a new door for iTunes users. Now, they will be able to restore from iTunes backup files, selectively without having to restore the whole backup file. Step 1: As usual, launch the software and connect the iPhone to the computer. Select Recover Data from iCloud Backup File. Step 2: Now, you need to use your iCloud account password and ID and click Sign in to enter your account. Step 3: After the login, you will find a list of all iCloud backup files. So, just select the one that contains the photos and click Next to download that backup file. Step 4: Now, you need to check the box beside Photos to select them and click Next to extract them. Then, you will get a preview of the extracted files from the backup. 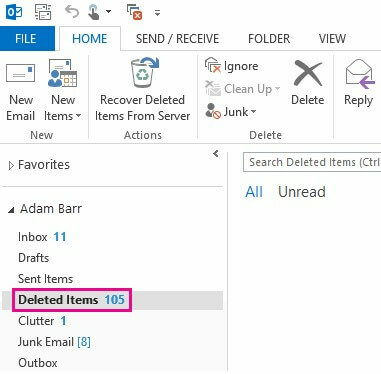 Afterward, click Recover to restore the files. It is also quite possible that your iPhone got broken even before you were able to back up the necessary data. In that case, you will also be able to use Any iOS Data Recovery to recover photos from a broken iPhone. It is another feature of this excellent recovery software. Even if you have to backup, this program will recover the files directly from your iOS device. Step 1: Connect your iPhone to the computer and launch the program. Select Recover Data from iOS Device from the main interface. Step 2: After the device is detected, you can click Start Scan to begin. Then, you also have to check the box beside Photos, doing this will make the procedure go faster. Step 3: After the scanning is complete, all the files will be displayed with details. So, you just have to select the Photos and click Recover. Therefore, Any iOS Data Recovery is the best software you can find that will recover your lost photos from a broken iPhone XR/XS/X/8/7/6s/6/5s/5. The program has several modes that are even capable of extracting a specific file from iTunes and iCloud backups. This is an excellent feature, it comes along with the mode that can recover files from the iOS device directly. So, if you are trying to recover your photos from a broken iPhone, then choosing this software will be the best decision you will ever make in your life.